Book Description A Hard-hitting Chess Opening Repertoire for Black based on the Schliemann Gambit and Albin Counter-Gambit. Are you fearless in your approach to chess openings? Do you like to attack your opponents from the very beginning? Are you happy to take calculated risks? Are you a Gambiteer? If the answer to these questions is 'yes' then this is the book for you! 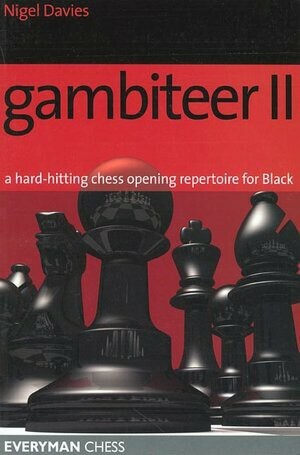 In this second volume of the Gambiteer series, opening expert Nigel Davies produces an ambitious and uncompromising repertoire for Black. His two main choices are the Albin Counter Gambit and the Schliemann Gambit. As gambits go they are the pick of the crop, having been tried and tested by some of the World's most inventive players. All of the opening lines Davies advocates lead to positions of open warfare, where sharp, tactical play completely dominates dreary, positional subtleties. Are you ready for the battle? Then cry havoc and let slip the dogs of war!